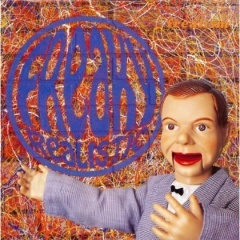 Freaky Realistic were, and still are, the best band that England has ever produced. 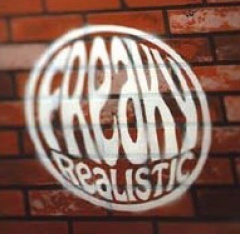 They were based in Peckham, South London, England, and created an album of the highest critical acclaim. In 1990 Justin, Aki, and Michael were unknowns. In 1991 they had produced a demo tape. In 1992 a couple of promo CDs appeared, but the band had yet to grab the public's eye. In 1993 they released four sucessful singles and an album to critical acclaim. "Frealism" was almost a year overdue and sold at the special "Freaky Price" of five pounds, except in Our Price where it was £13.99. A fight took place on the 8th of November, 1993 between Justin and MPL. Aki and Justin appeared on stage that night, but the band never recovered; the cosmic love vibes had lasted only two years.